At this spot, on September 12, 1814, General Robert Ross died. 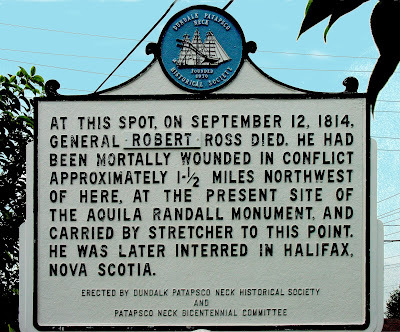 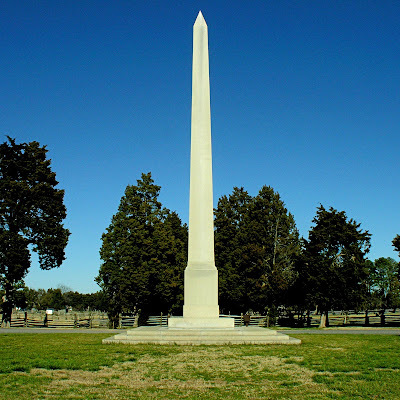 He had been mortally wounded in conflict approximately 1-1/2 miles northwest of here, at the present site of the Aquila Randall monument, and carried by stretcher to this point. 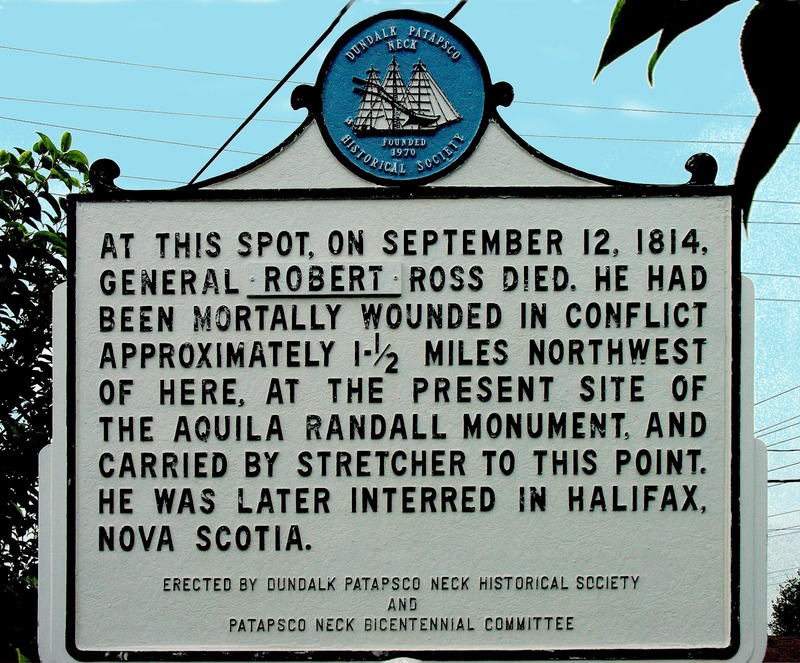 He was later interred in Halifax, Nova Scotia. 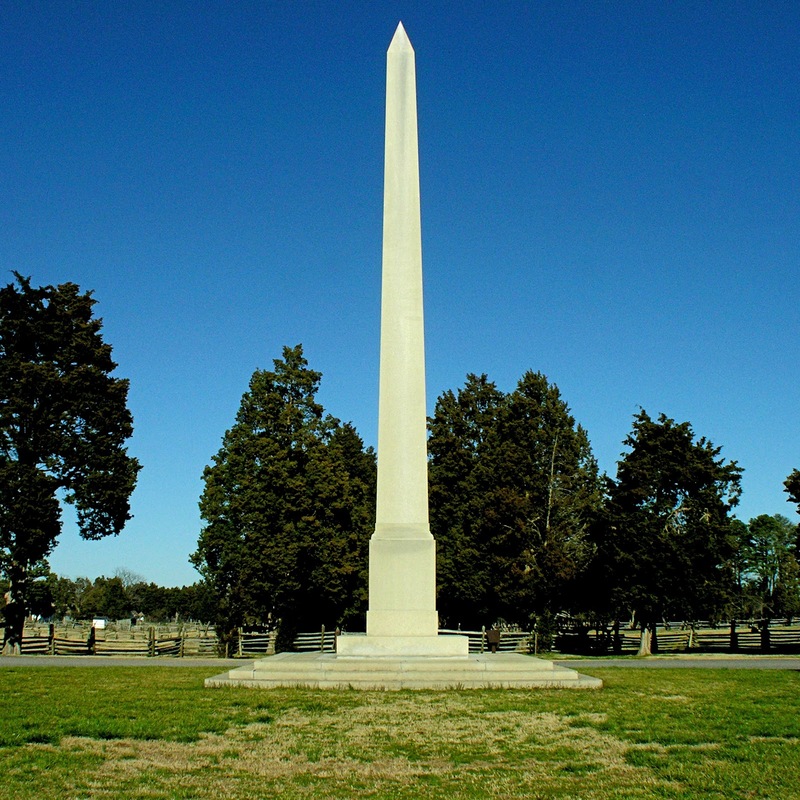 Erected by the Dundalk Patapsco Neck Historical Society and Patapsco Neck Bicentennial Committee. 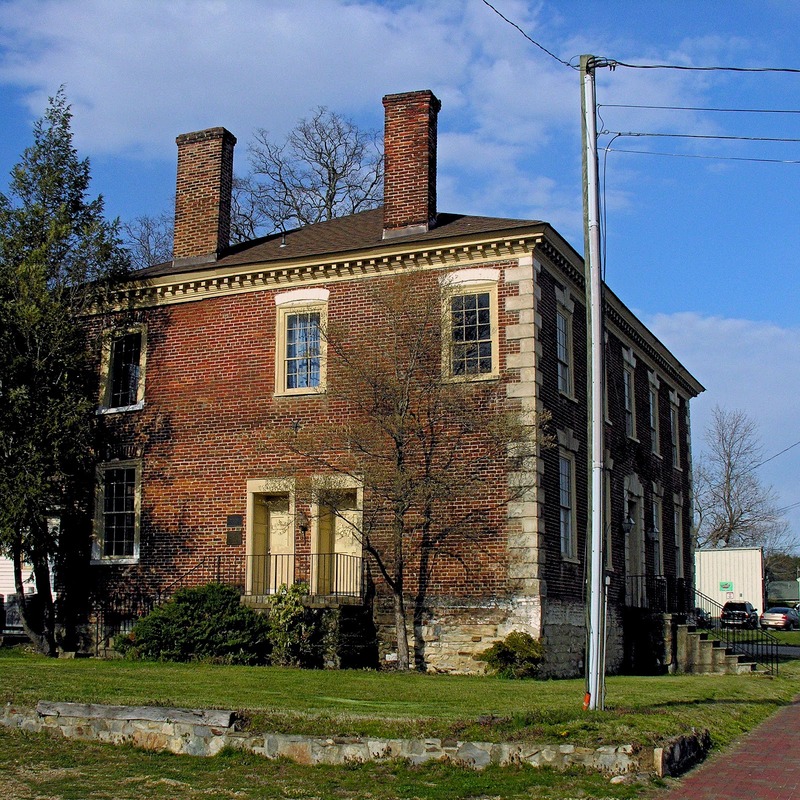 Williams Ordinary at 17674 Main Street (Rt. 1) in Dumfries was built in the 1760's. This stone jug stands in an obscure park on the east side of Frederick, Maryland. 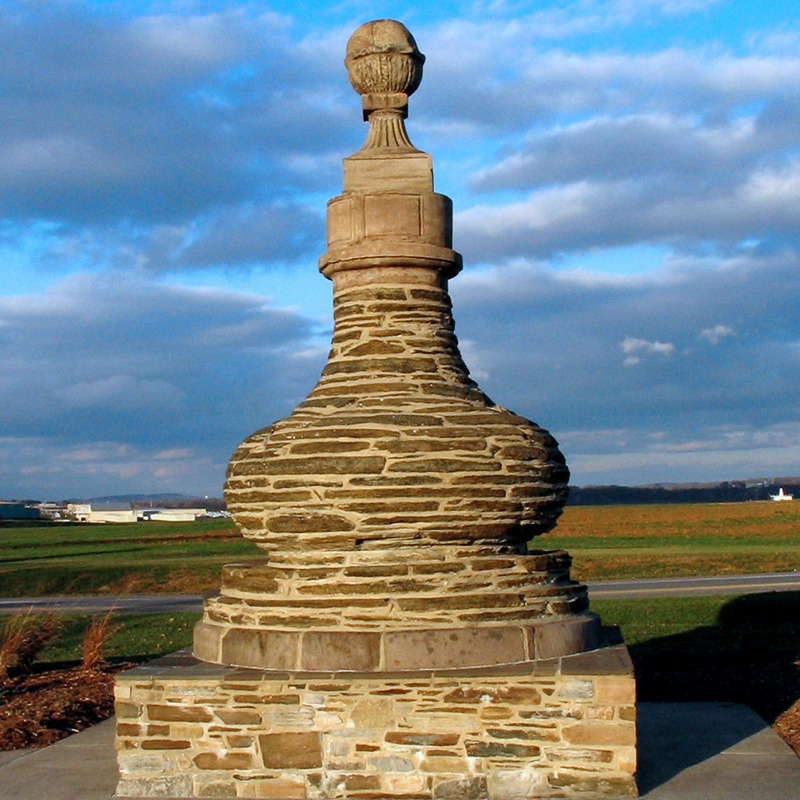 It was originally an ornamental monument on the stone turnpike bridge over the Monocacy River.